Gold Medal's 2050 countertop pretzel display case would be ideal to attract customers at any sporting event, amusement park or fund raising concession stand. 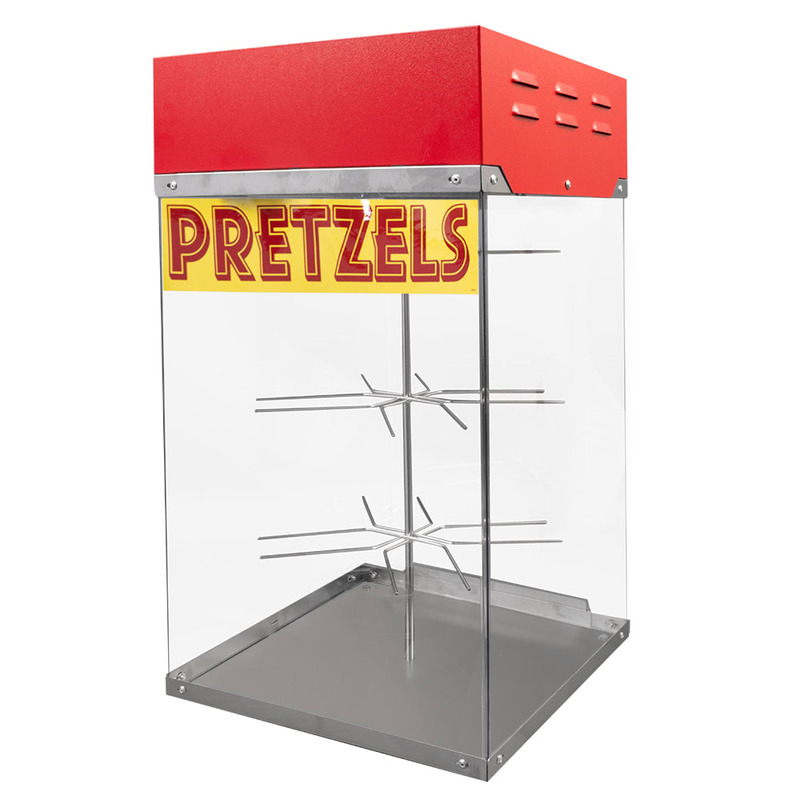 Made from stainless steel, the unit can hold up to 40 jumbo-sized pretzels, and is non-humidified with a revolving, three-tiered rack. It is enclosed in Lexan windows, and has graphics to attract sales.